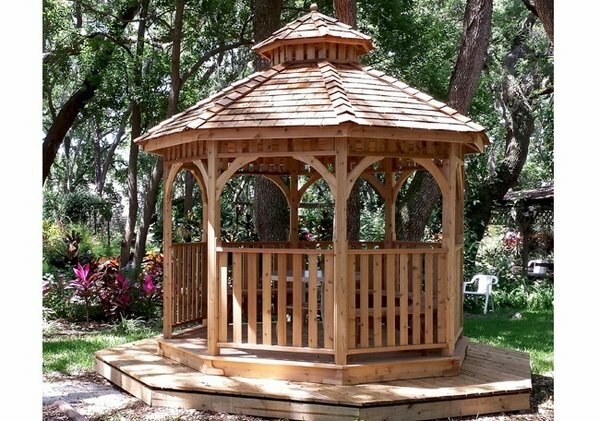 The Outdoor Living Today 10x10 Bayside Octagon Gazebo with Cupola is the ideal place to spend your time outside. 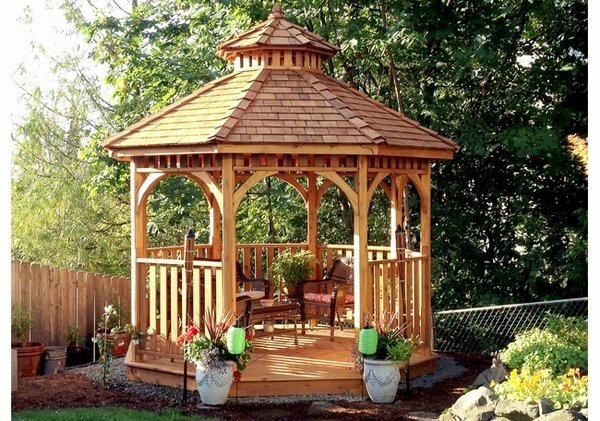 This gazebo is made from Western Red Cedar wood which provides natural strength and beauty. 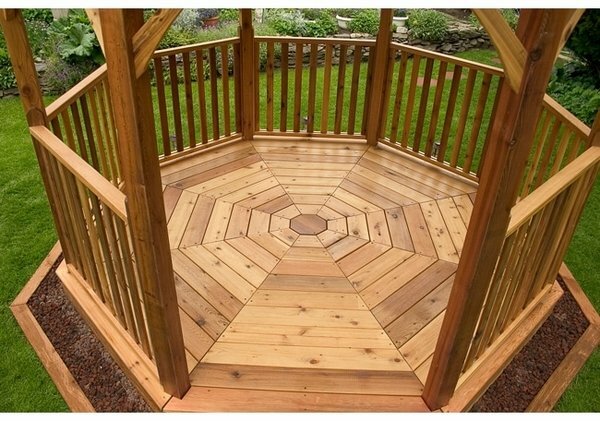 It includes a cedar lap sided ceiling, a functional cupola, and a 5/4” cedar deck floor. 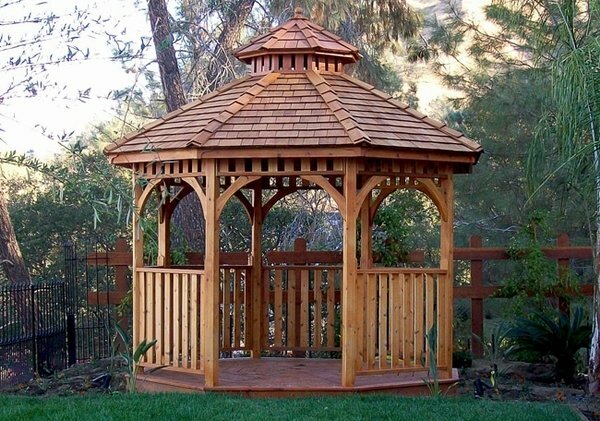 The gazebo comes with cedar roof with shingles already attached. 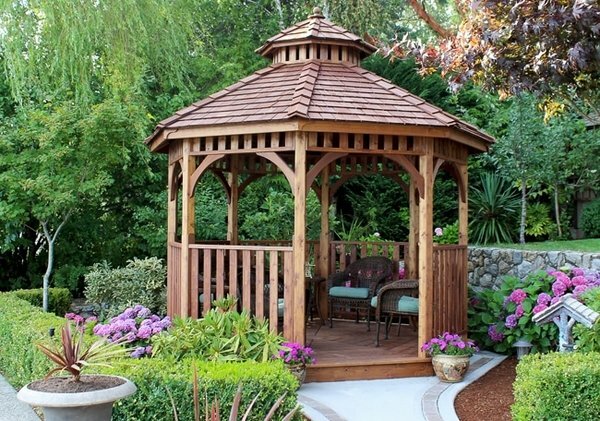 It has sturdy 3 1/2" x 3 1/2" post and rafter construction. Hardware included. 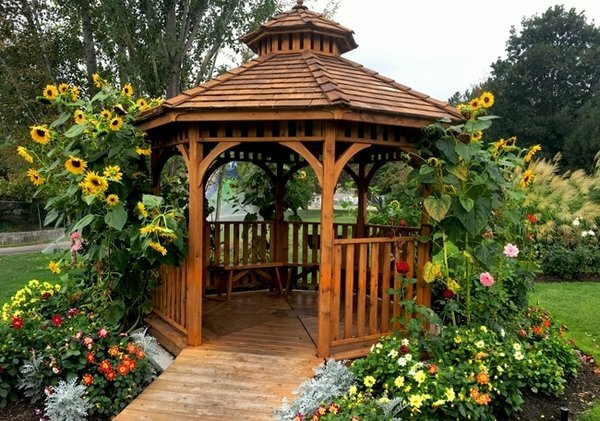 Make it even better with optional benches which are available but not included.